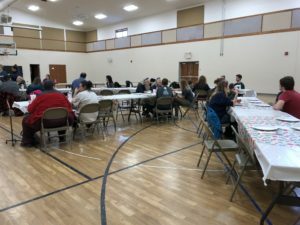 The Clinton County Community Dinner was held on April 10th at First Baptist Church in St. Johns, MI where residents were able to utilize Beacon of Hope’s Food Pantry and receive a hot meal as well. 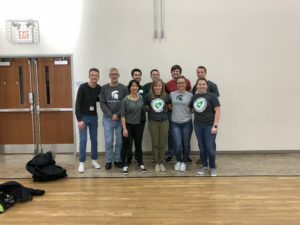 The PATH and MSU Street Med teams were also in attendance to do free health screenings and talk about available services. 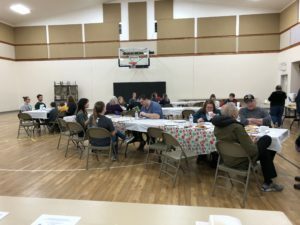 In total approximately 30 individuals and families were in attendance and received a hot meal that night. Thank you to all the volunteers and members of the community who helped with this event. Without volunteers and community support we wouldn’t have been able to do this! 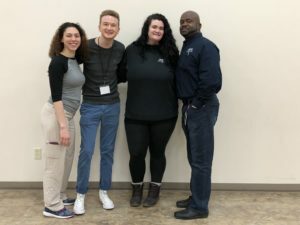 We look forward to similar future events!